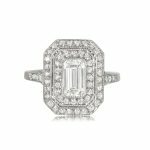 An Art Deco era diamond engagement ring that centers a GIA certified old European cut diamond, 1.11 carat, I color, and, VS2 clarity. The shoulders feature three sections of single cut diamonds. A section of the shank is decorated with hand-engravings. 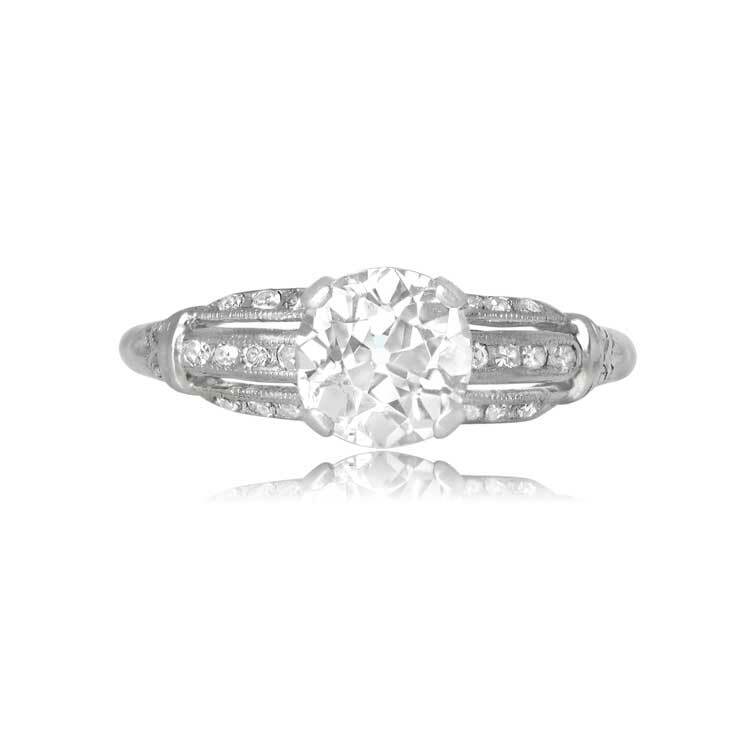 This ring is platinum and original from the 1930s. 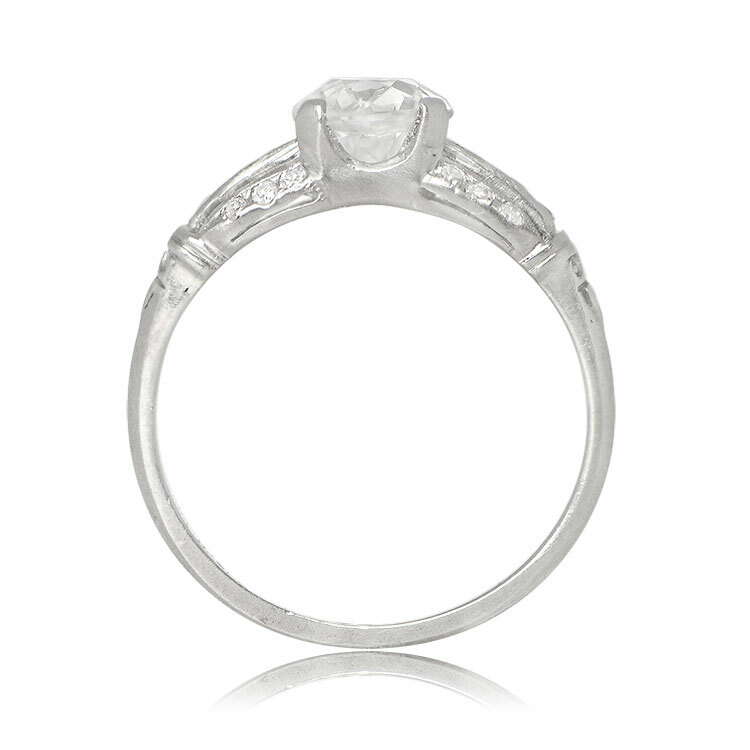 The known center diamond measurements are 6.29mm x 6.62mm x 4.09mm. 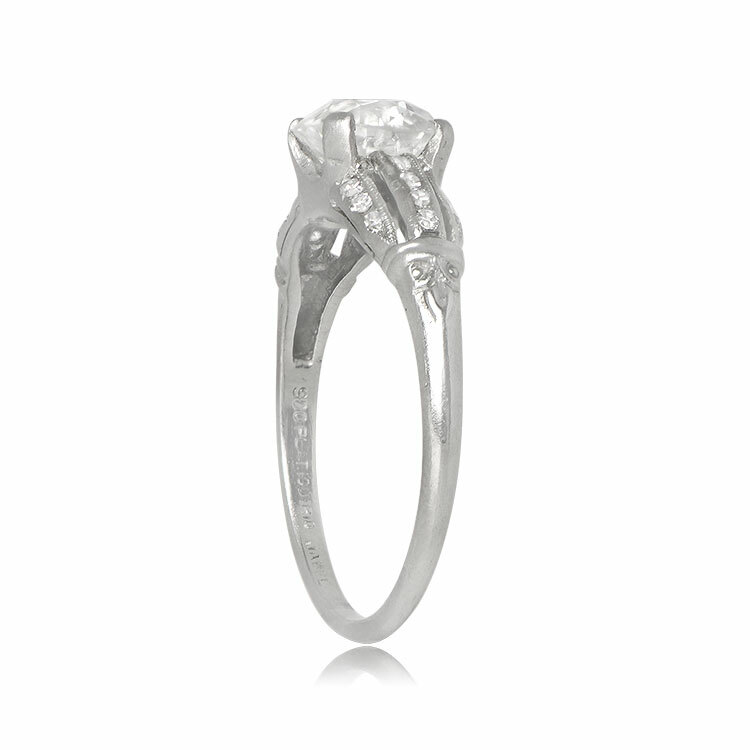 If you have any questions about the Rankwell ring, please feel free to contact us. 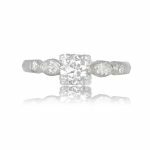 SKU: 12327 Category: Vintage Engagement Rings - Contact us and request additional pictures.